Last year at Inspire, Microsoft announced the availability of Microsoft Azure Stack, a true hybrid cloud platform. At the time, Dell EMC had already announced that we were partnering with Microsoft to bring the value of a combined Dell EMC and Microsoft Azure Stack offering to market. Since then, we’ve seen a tremendous response to the offering. In less than 12 months, we have customers of all sizes, across multiple verticals including finance, manufacturing, public sector and cloud service providers. Not only have we seen such a great response to our offering, we’ve also heard from our partners and customers on what they’d like to see moving forward. All-flash: We now have an all flash VxRack Azure Stack (AS) configuration option, which includes 25G ToR (top of rack) switches. Predictable performance and low latency are just the beginning. Customers will also benefit from a smaller footprint, lower power and cooling requirements and more. We will continue to offer hybrid offerings, as well, allowing you to choose the storage components of your VxRack AS platform. Automated Infrastructure Patch and Update: Automated HCI Patch and Update is available in preview now! This is an industry exclusive feature—no other Azure Stack vendor offers this. Why is this important? Remember, there are two separate processes for Patch and Update on Azure Stack. The first is the Azure Stack software, which is handled via updates on a nearly monthly cadence from Microsoft through the Azure Stack Administrator Portal. That still leaves the hardware components, which need to follow a similar process as the Azure Stack software to avoid unnecessary disruption to the Azure Stack services. When manually done, this can be extremely time consuming as each node needs to be brought in and out of maintenance mode individually with multiple steps per-node. Each hardware vendor provides step-by-step guidance on how to do this, and the process takes several hours to complete. Dell EMC’s exclusive orchestration tool allows customers to update the firmware on their entire VxRack AS scale unit in one step. This is the “easy button” that customers have come to expect of all Dell EMC HCI products and allows customers to spend more time focusing on business-value initiatives. To learn more, read this recent blog here, and see a demo here. SecureVM and Geo-fencing: SecureVM is now integrated with Azure Stack and available through the Azure Stack Marketplace! You can run your key management in public Azure or Azure Stack, and the VM extensions for Linux and Windows VMs allow customers to enforce policies that dictate the circumstances under which keys are released—and it even includes geo-fencing. Flexible consumption: We now offer flexible consumption of hybrid cloud through Cloud Flex as a way to acquire Azure Stack, enabling partners and customers to leverage cloud-like economics by consuming Azure Stack as an operating expense. 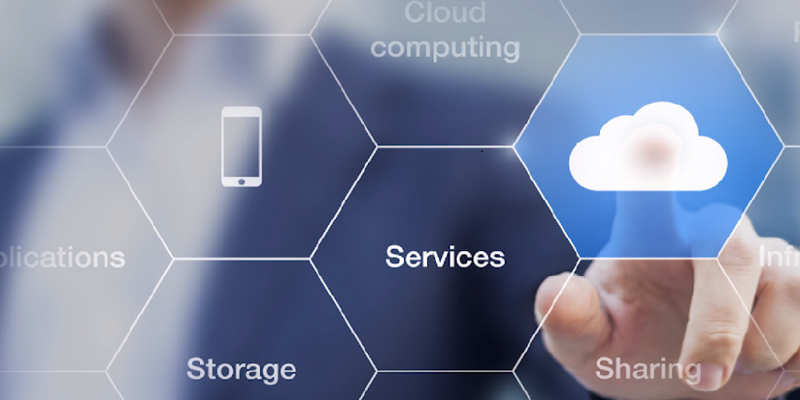 By extending Cloud Flex to the Dell EMC Cloud for Microsoft Azure Stack, we are responding to our customers’ request for a consumption solution that drives lower costs, the ability to right-size technology and facilitates a smooth transition to hybrid cloud. The Cloud Flex Program for channel partners is simple to execute and provides partners with a predictable profit stream based on the duration of customer usage. To learn more about Cloud Flex, visit its home page on DellEMC.com. Already built on the industry-leading hyper-converged infrastructure systems portfolio (with Dell EMC VxRack), Dell EMC Cloud for Microsoft Azure Stack is now even more robust than before, and we expect customers and partners to continue to find success as they continue their IT transformations. We’ve come a long way in a short time but are very excited with what the future holds for Azure Stack. We hope you are too! To keep up to date with all things Dell EMC Cloud for Microsoft Azure Stack, please visit the website here: www.dellemc.com/mhc. If you’re attending Microsoft Inspire this week, please visit our Dell EMC booth #623 to see our solution first-hand and meet with our leading minds driving the Dell EMC Cloud for Microsoft Azure Stack.